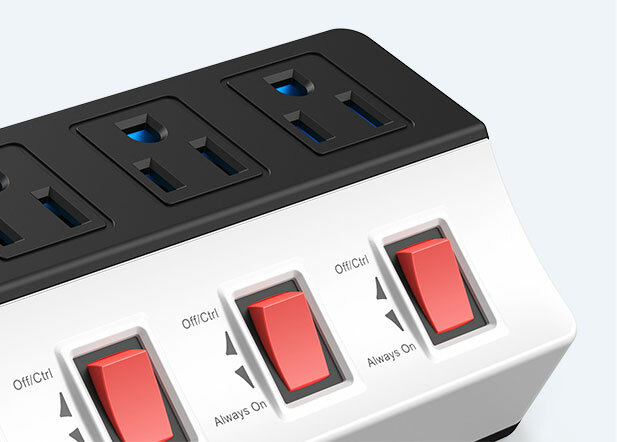 Specially designed with 7 independent switches to control each AC outlet, which is a good solution to save energy. 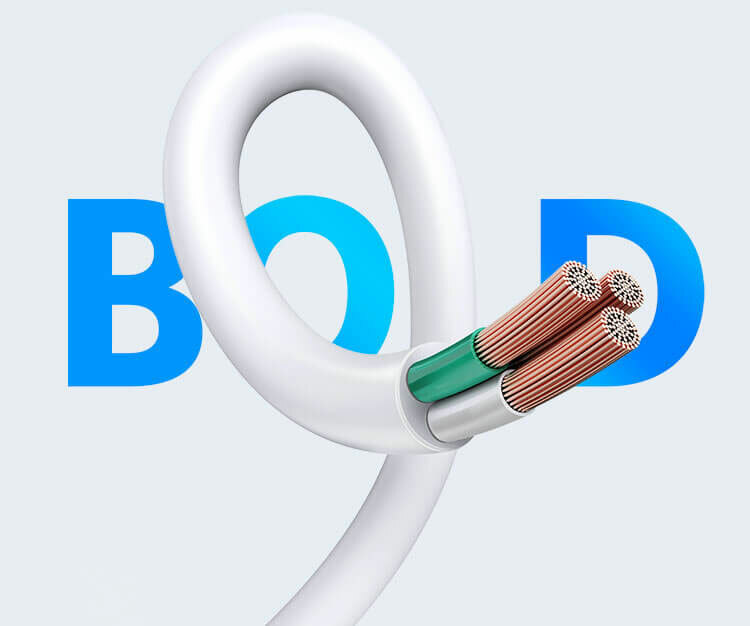 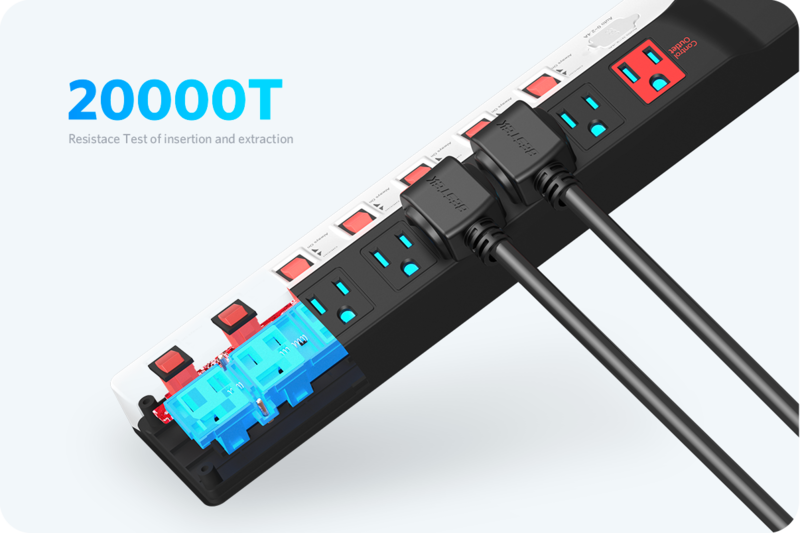 With 900J, can protect your electronics against power surges and any interference on your power line; built-in 15 amp circuit breaker for guarding against electrical fire; Perfect for home and office. 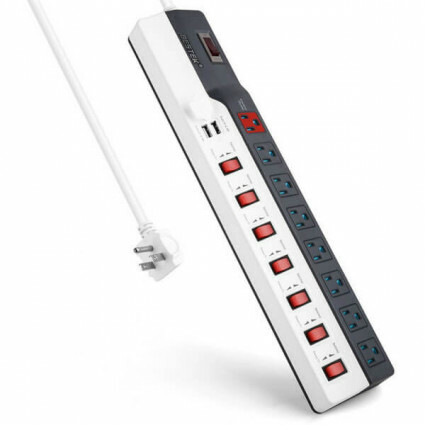 Offers 7 switches and 1 master outlet for you to control each outlet individually. 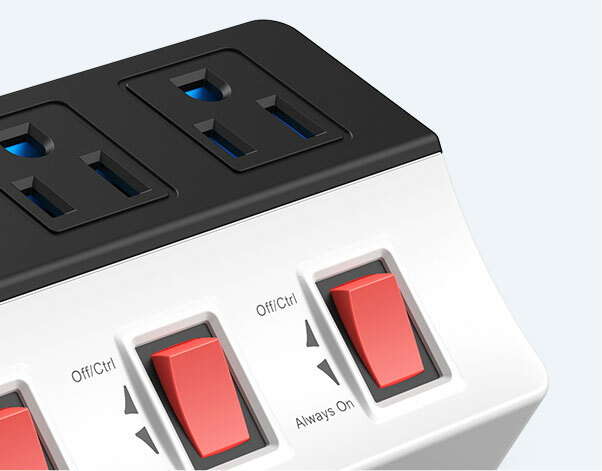 You can keep outelts always-on for devices that you do not want turning off automatically. 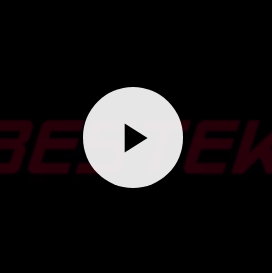 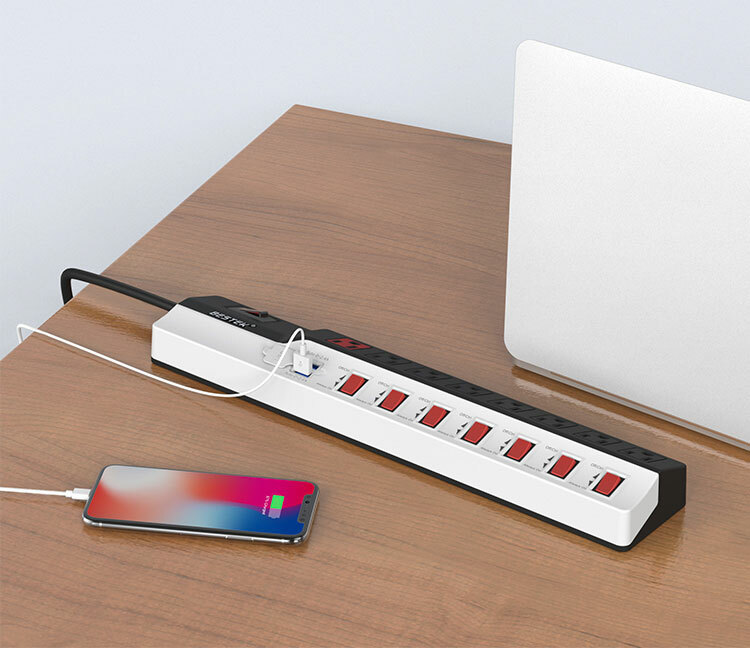 Dual USB charging ports with Smart IC technology automatically detect your devices to deliver its fastest possible charging speed up to 2.4A per port/4.2A total. 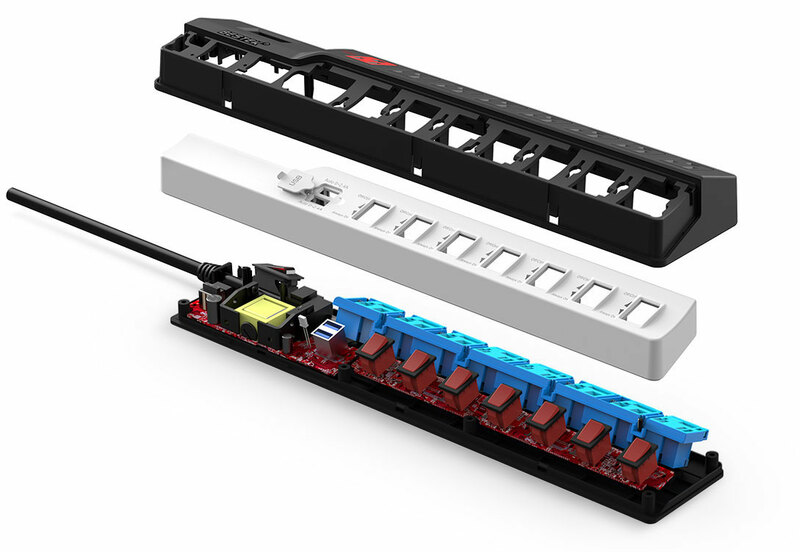 2 mounting holes on the back help you to fix it on the wall or your work bench horizontal or vertical. 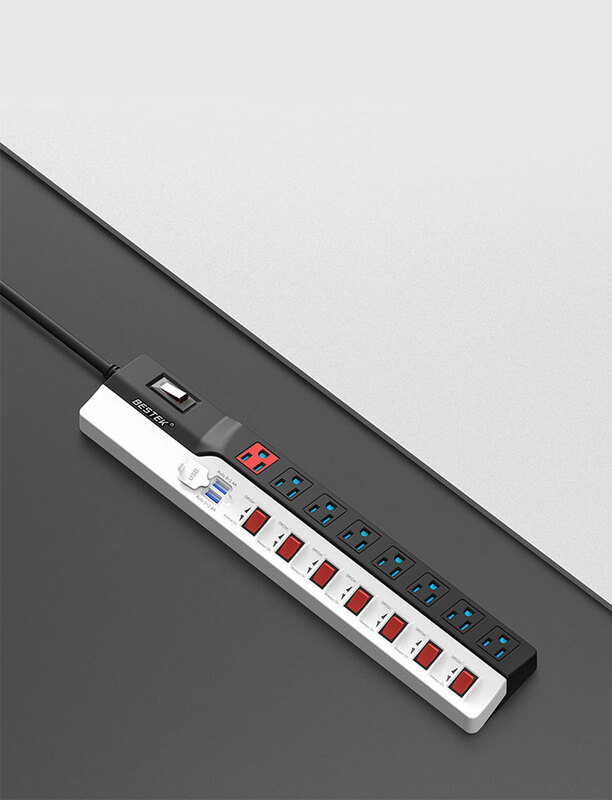 Right-angled power plug makes it easy to fit in narrow spaces, such as behind furniture. 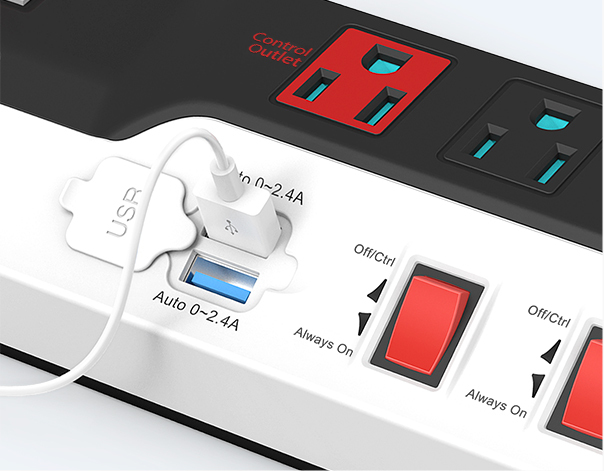 Can charge up to 10 devices with 8 AC outlets and 2 USB ports. 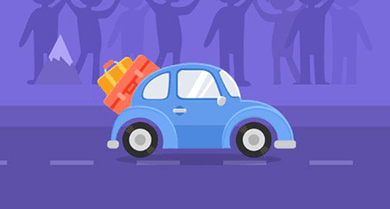 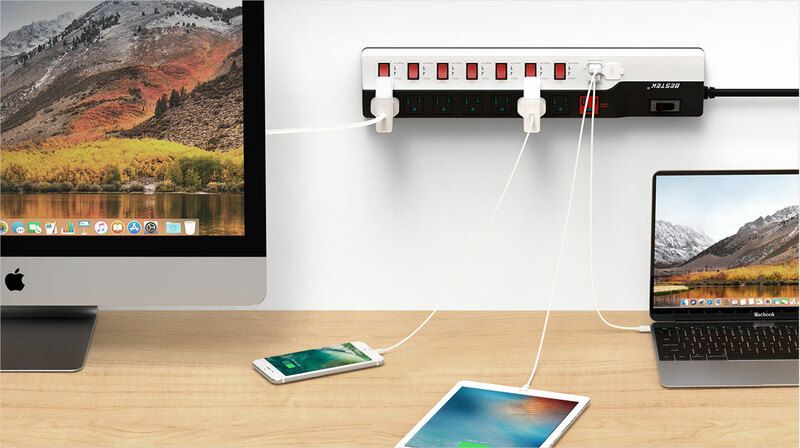 Feel easy to charge mobile devices like iPhone, Macbook, and electronic appliances like TV, refrigerator. 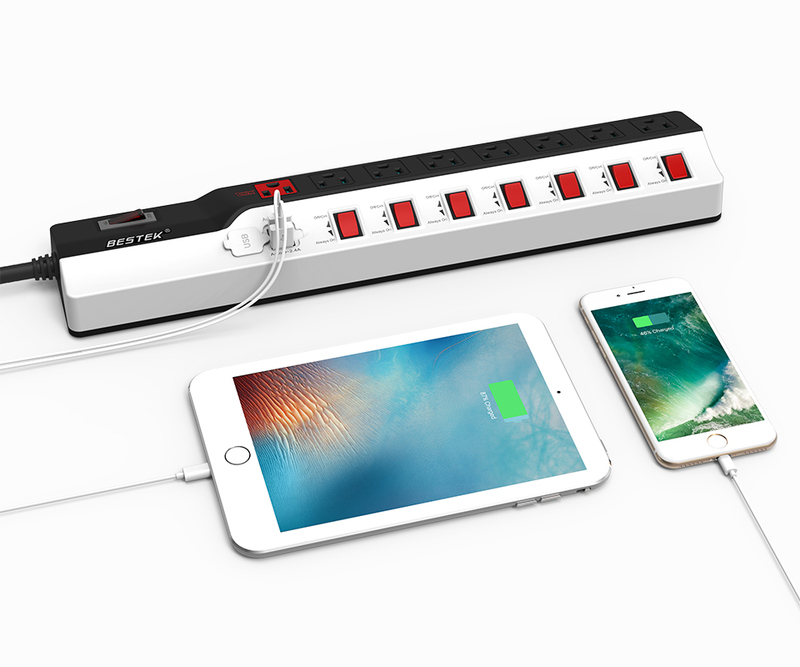 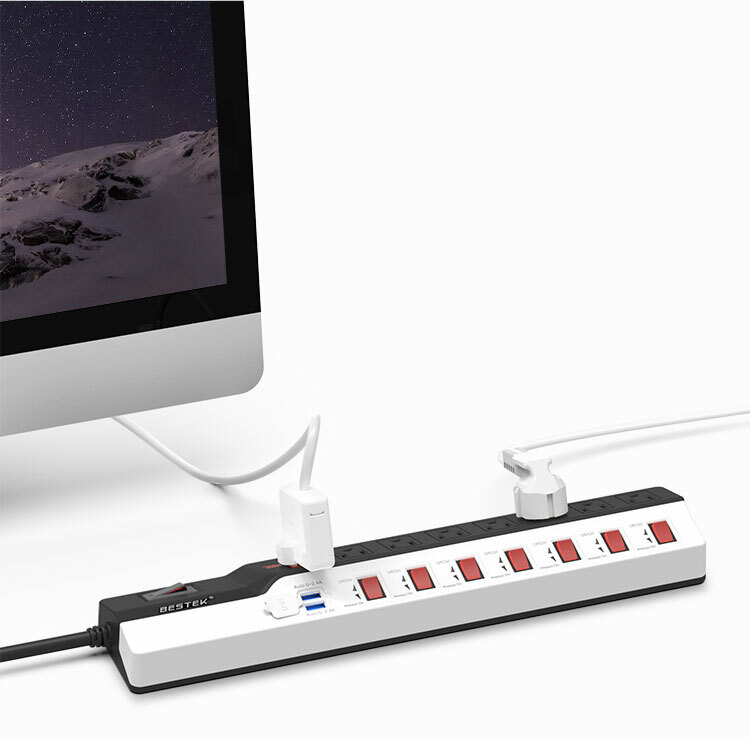 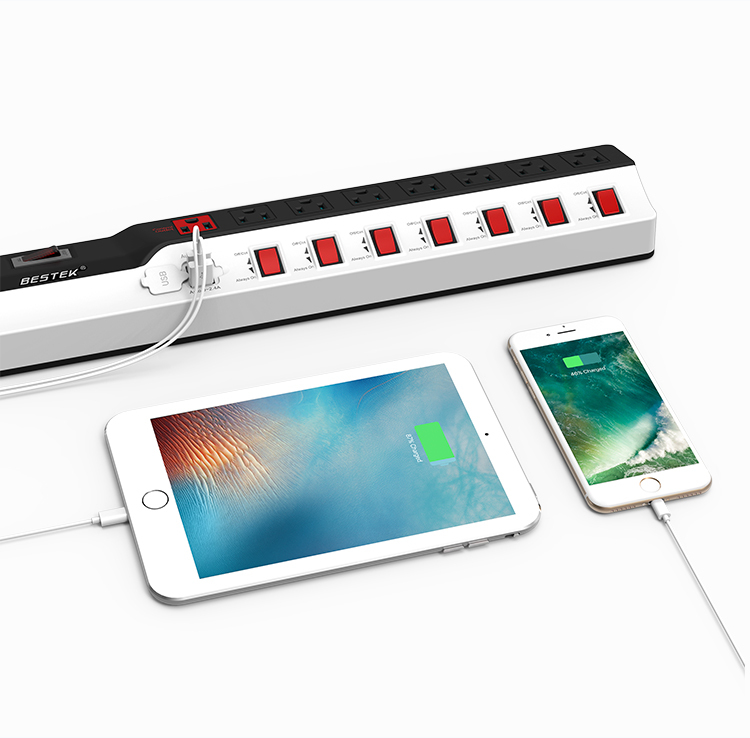 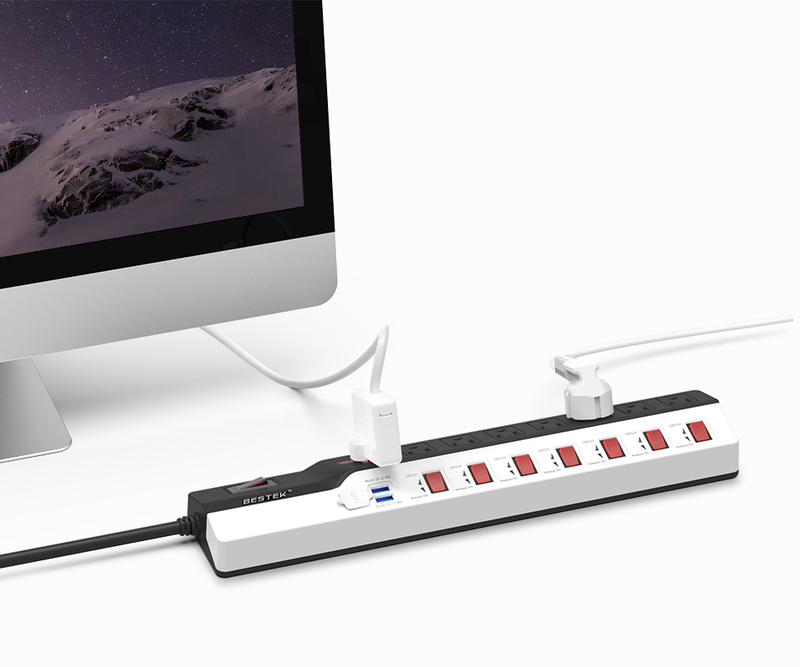 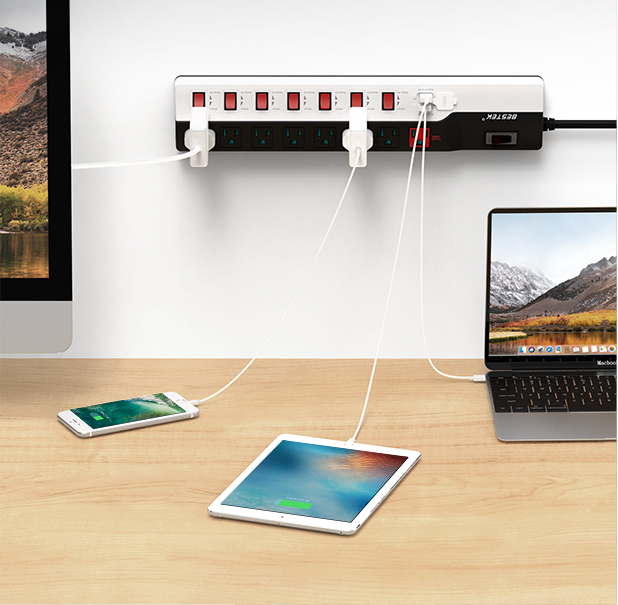 Featuring 8 individual outlets and dual USB port , this surge protector can charge various devices fast and safely, perfect for office computer, home theatre system and household use. 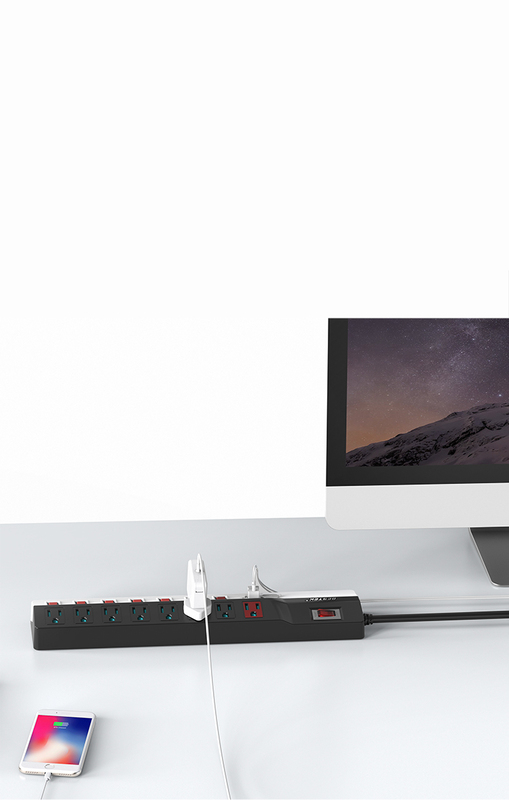 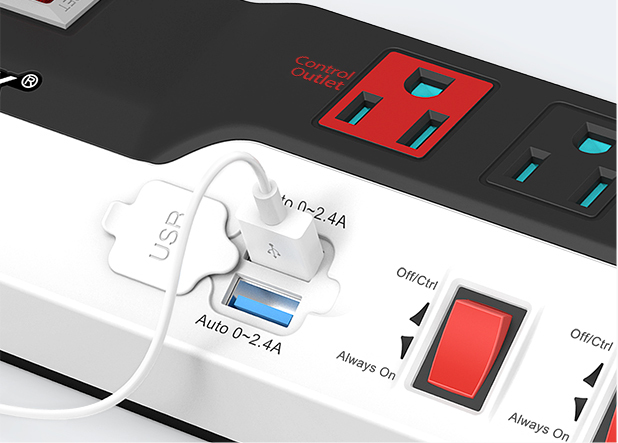 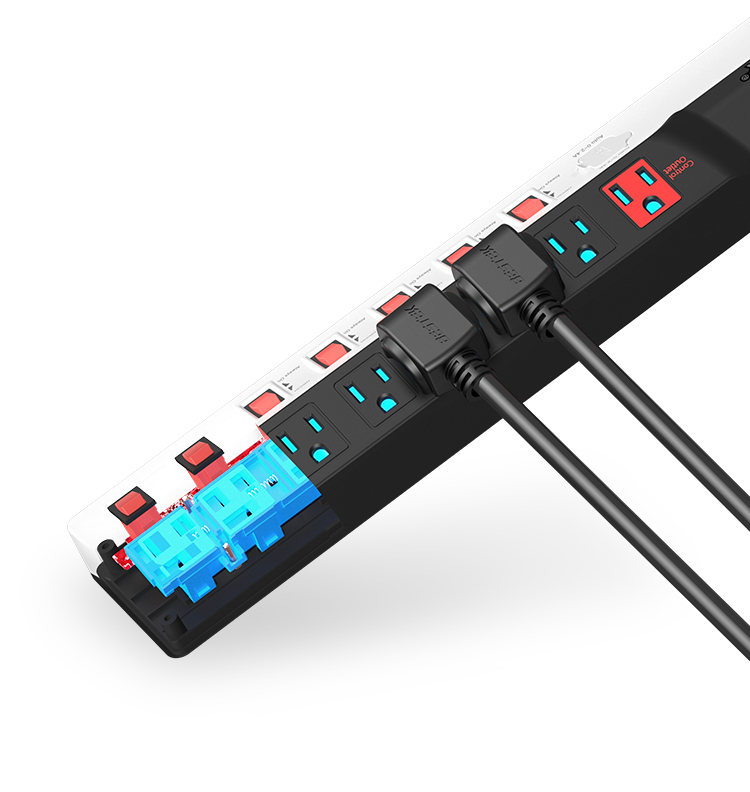 The surge protector is designed with special individually controllable AC outlets and dual smart usb ports, to help you manage devices intelligently. 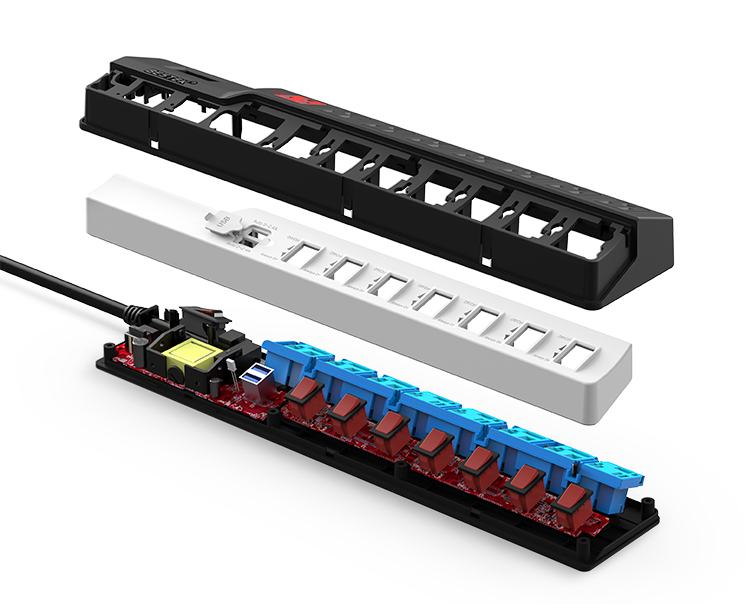 Made of heavt duty housing materials, the strips is much durable to use.